The CCS dinner auction is the biggest fundraiser all year. 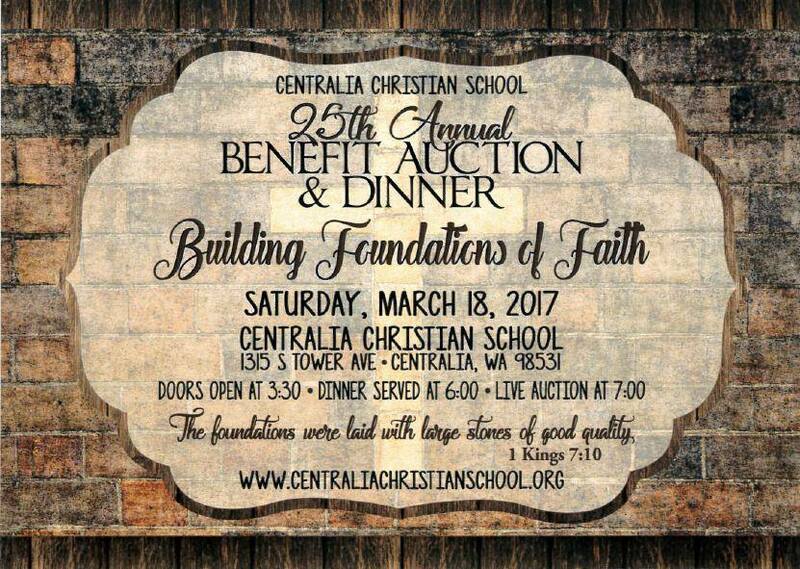 It is a time to enjoy good food, fellowship and have a great time supporting Centralia Christian School! Preparations for the auction begin in October, and we need many volunteers to make the auction a reality. Please contact the office for more info. Click here to view or print the Auction RSVP Card.